In fact, anyone who has a passing familiarity with the revoltingly ugly events which took place during the erstwhile NDC administration will be extremely surprised to hear that the NDC faithful are evocatively accusing the incumbent NPP government of not doing enough to turn around Ghana’s economic fortunes. It is, indeed, extremely baffling to keep hearing and reading from the same people who wilfully collapsed the once thriving economy up in arms and shouting from the roof top about the current state of Ghana’s economy just over two years of NPP government taking office. How could individuals who disgustingly send Ghana’s economy deeper and deeper into the mire turn around and accuse the NPP government of economic mismanagement in barely 26 months into 48 months mandate? It is an undeniable fact that the good people of Ghana witnessed so much shiftiness, corruption, incompetence, nepotism, cronyism and frequent abuse of power in the NDC government led by President John Dramani Mahama. For the sake of balanced annotation and to set the records straight, I shall grub into the regrettable events which took place during the erstwhile NDC administration. To be quite honest, I share the same sentiments of the sceptics who argue that despite spending 27 years in government, the successive NDC governments failed woefully to improve upon the socio-economic standards of living of Ghanaians. The critics maintain that the successive NDC governments only managed to destabilise Ghana’s macroeconomic indicators through unobjectionable incompetence and wanton corruption. Considering the fact that the erstwhile NDC government left a huge debt amid massive economic meltdown, one would have expected the same people who wilfully caused such a mess to show a little remorse and refrain from accusing the NPP government of not turning the economy around quickly, but that hasn’t been the case. Strangely, however, the NDC operatives are all over the place nagging, grumbling and censuring the NPP government for perceived slow pace in development in little over two years in office. The fact however remains that if the corrupt and greedy officials of the erstwhile NDC government had not squandered the funds meant for various developmental projects, the NPP government would have enough funds at its disposal to undertake a lot of developmental projects. Dearest reader, never before had we witnessed so much scheming guiles, sleazes and corruption, arrogance of power and dereliction of duty by an elected government. 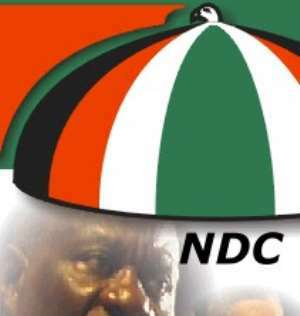 In fact, there is absolutely nothing surprising for the critics to argue that the NDC faithful, who apparently take pride in the social democratic ideology, are not in the business of promoting the welfare of the masses, but are rather on a mission to advance their parochial interests by persistently hoodwinking the unsuspecting voters to gain electoral advantage. One would have thought that individuals who pride themselves as social democrats will be extremely empathetic to the needs of the masses, but this is not the case with the NDC apparatchiks. Take, for instance, the erstwhile Mahama government wilfully ran down and cancelled most of the crucial social interventions to the dismay of discerning Ghanaians. The Nurse’s Allowance, the Teacher’s Allowance, SADA, GYEEDA, NHIS, the Maternal Care, the School Feeding programme and the Mass Transport System readily come to mind. Suffice it to stress that they only sing along the social democratic rendition and then turn their back on the masses. It is an illustrative case of social democrats who do not know how to initiate and manage social interventions. During the NDC’s calamitous administration, the vast majority of Ghanaians struggled to make a living or eke out an income. The dreadful errors in decision-making, the incompetence and the unbridled corruption culminated in untold economic hardships. And, despite the apparent harsh socio-economic standards of living back then, President Mahama and his clamorous apologists kept trumpeting their vague rhetoric , political insobrieties and meaningless slogans: ‘Mahama Tuaso’; ‘We care for you’; ‘people matter, you matter’; ‘we are transforming lives’. Given the circumstances back then, I do not want to believe that anyone could have convinced the disappointed Ghanaians to forgive the NDC administration over the dubious judgement debt payment of GH51.2 million to Woyome and other corrupt practices. It is absolutely true that the vociferous NDC communicators could not solicit votes from Ghanaians who were extremely aggrieved about President Mahama’s freebies to all sort of people, including Madam Akua Donkor of Ghana Freedom Party (GFP) two four wheel drive cars and a luxury bungalow (estimated to cost a staggering $470,000) for no work done. The fact of the matter is that no one would have listened to the NDC’s electioneering campaigners when no meaningful efforts were put in place to stop the numerous sleazes and corruption. Trust me, it will be easier for ‘a camel to go through the eye of a needle’ than for Mahama to convince unhappy Ghanaians to forgive him, when his administration woefully shrunk Ghana’s GDP from $47 billion to $37 billion in five years. How could the Mahama supporters expect discerning Ghanaians to give Mahama another chance at the presidency when his government terribly dragged an economic growth of around 14 per cent in 2011 to a nauseating 3.6 per cent as of December 2016? The Mahama loyalists must accept the fact that discerning Ghanaians could not have forgotten the terrible errors in judgement which culminated in economic hardships amid the unbridled business crippling ‘dumsor’. In ending, the Mahama faithful should take a deep introspection and accept the fact that the vast majority of aggrieved Ghanaians voted against the NDC in the 2016 election due to the incompetence, the unbridle corruption and the unresolved dumsor which brought about harsh economic conditions. This author has authored 686 publications on Modern Ghana.